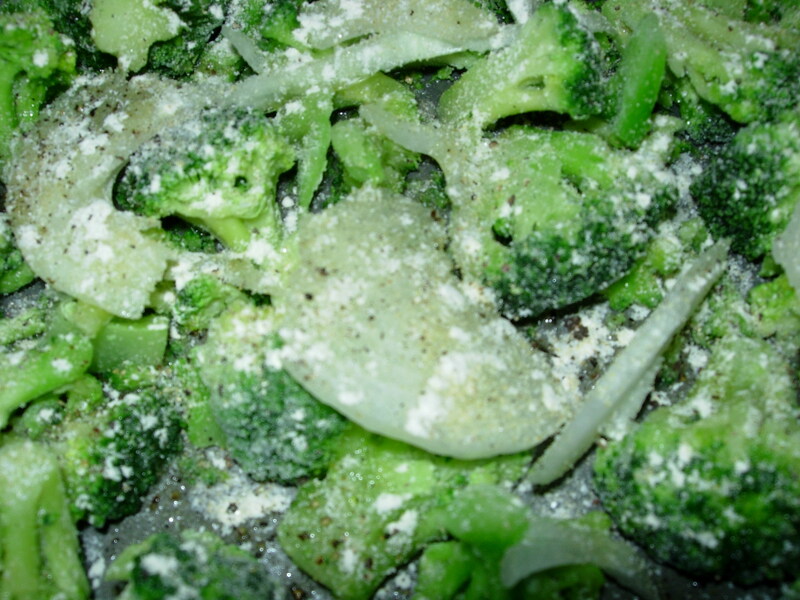 Onion Powder – No need to measure, just add as much as you like! 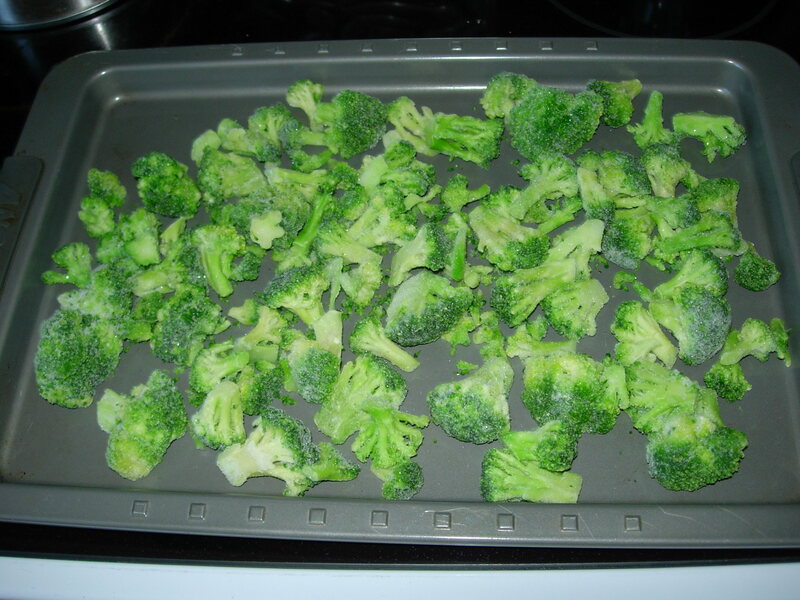 First Step is to preheat your oven to BROIL and then simply pour your frozen broccoli Florets onto a baking sheet into an even layer. Second step is to slice up the 1/2 Cup of Onion and distribute over the Florets. 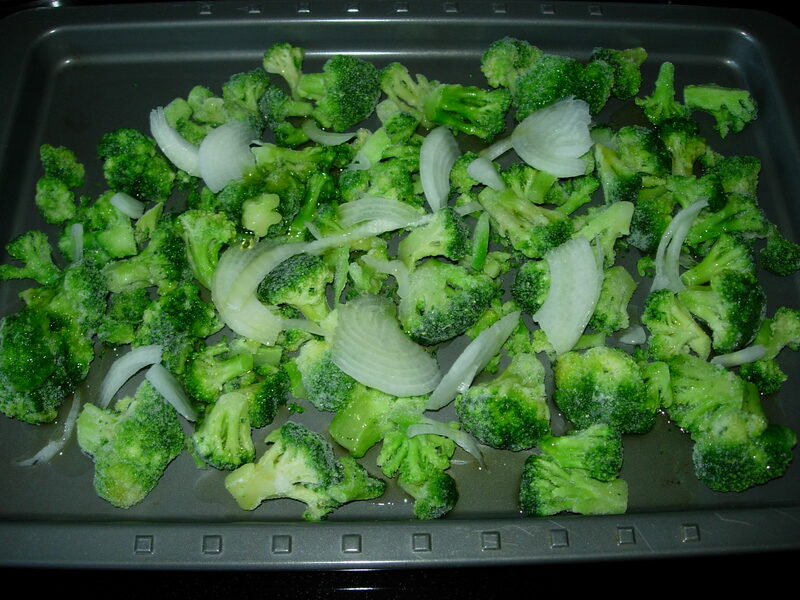 Now Sprinkle your veggie mix with as much Onion and Garlic Powder, salt and pepper as you like. I use quite a bit as it flavors it up wonderfully. 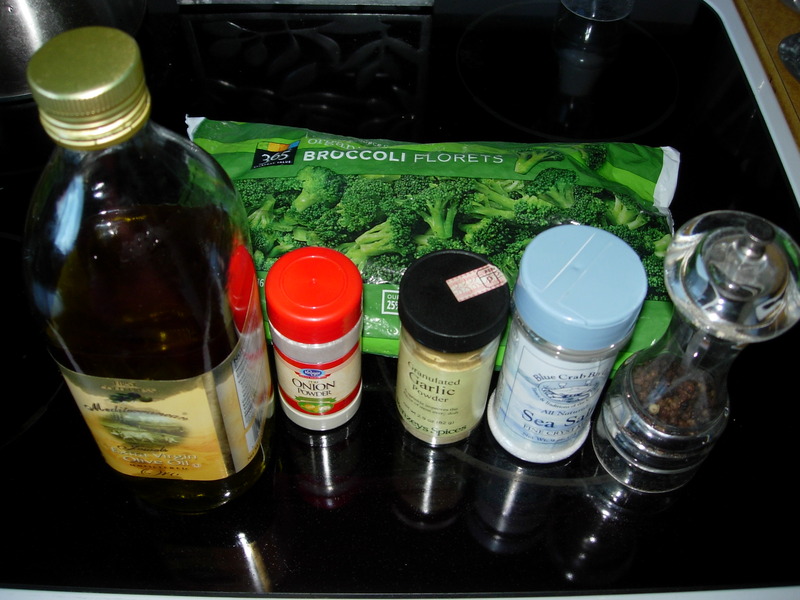 After adding the spices, then drizzle the broccoli with the Olive Oil and mix together with your very clean hands. 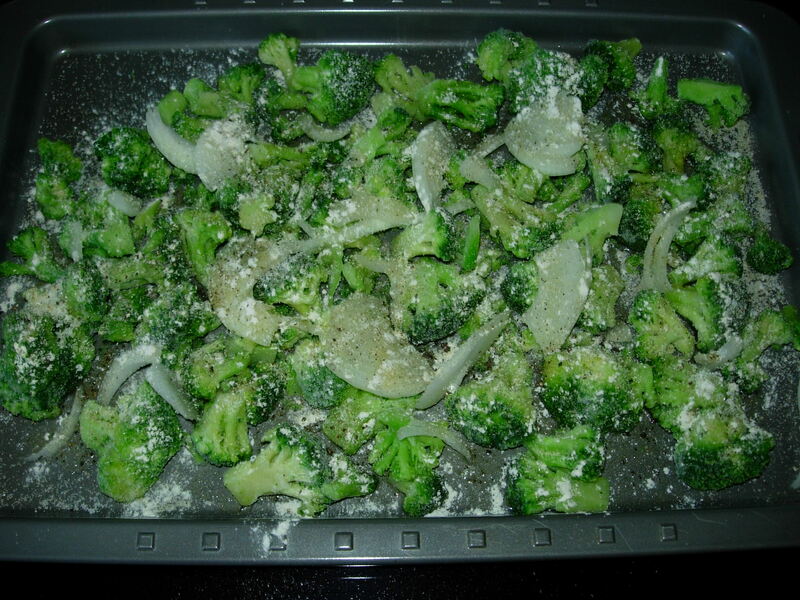 I always sprinkle the spiced and oiled veggies with just a bit more garlic before I put them into the oven, and then cook them for 12-15 minutes under the hot Broiler. 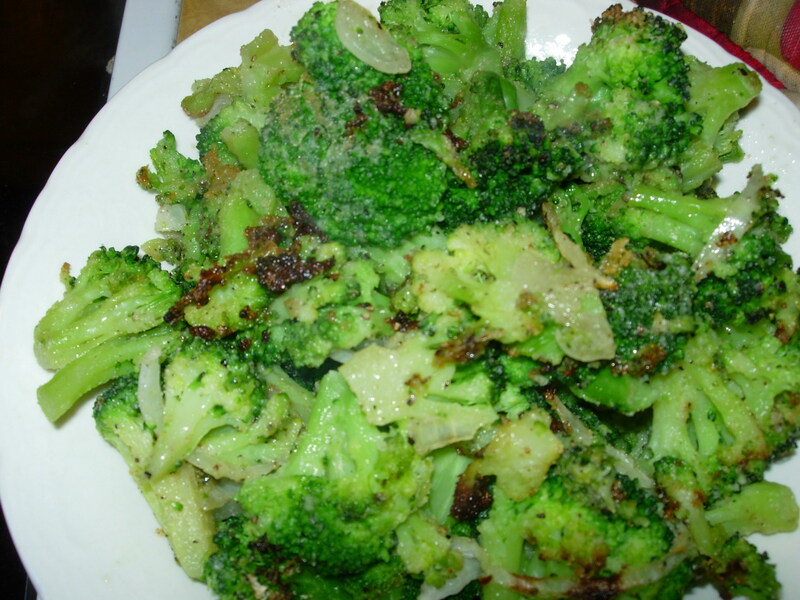 When they come out of the Oven, they should be cooked so that the tops of the Florets are starting to brown and crisp with the spices and oil. Now you are ready to serve them and they should be perfectly tender, not mushy and even a little Crispy on the edges. 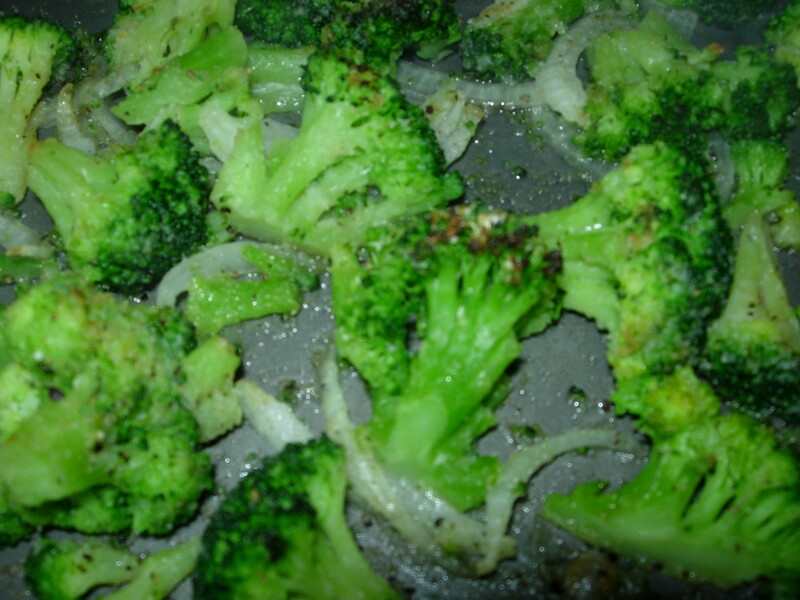 They will be deliciously flavorful and I promise you will never have any leftovers of this vegetable! 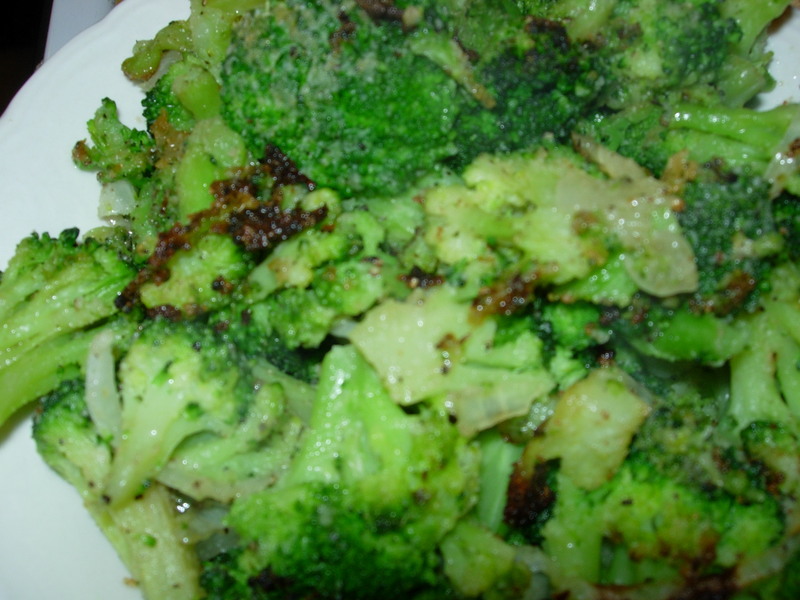 HAPPY FIRED BROCOLLING, and don’t invite me over when you make this, or I will probably eat it all!